If you are writing comments very often and want to give them a ‘better-to-recognise’ personal note you should have a closer look at gravatars. Via this service you can specify an avatar for your e-mail address. Our journal fully supports gravatars and you might use it on other pages as well. Just create an account, verify your e-mail address, upload an avatar and you are done. It’s all free. Don’t take this wrong, its not a must. I just want to inform you about the technical possibility. Some of us should visit http://openttdcoop.myminicity.com/ind instead. It is the next level. 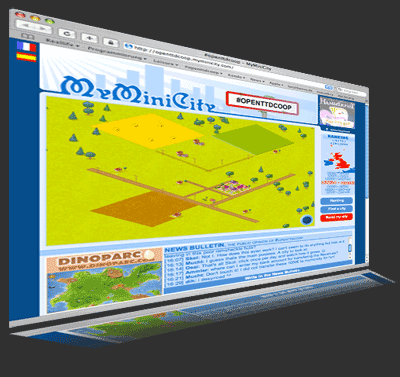 Level three is now unlocked, please use: http://openttdcoop.myminicity.com/tra to improve our transport network. I installed a little plugin which automatically generates the best link to trigger and also shows you our stats (thx Doke for the XML link).